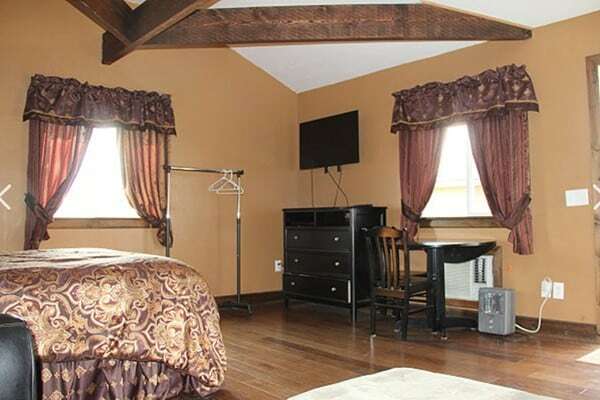 Showing 12 of 12 cabins. 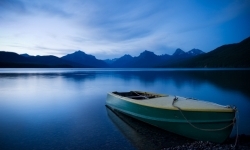 Located in Northwest Montana, Glacier National Park features stunning lakes, majestic waterfalls, high alpine trails, and epic fields of wildflowers. 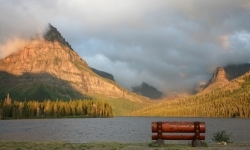 Within the park, don't miss the Going to the Sun Road, hiking trails like the Highline Trail, Trail of Cedars, and Hidden Lake, a scenic boat cruise, and an overnight at a park campground or lodge. 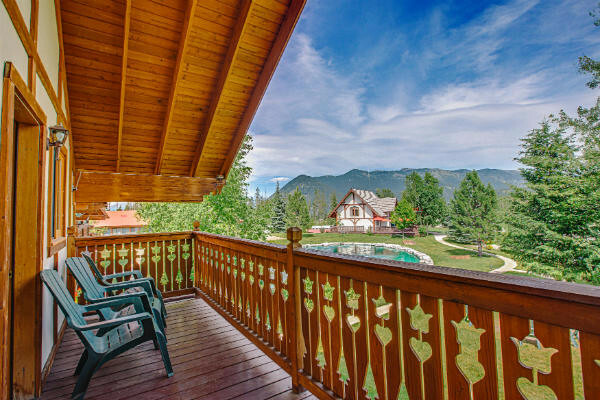 Just outside of the park, discover attractions like Flathead Lake, Whitefish Lake, Lake Koocanusa, Bob Marshall Wilderness, and the Canadian sister park at Waterton Lakes. 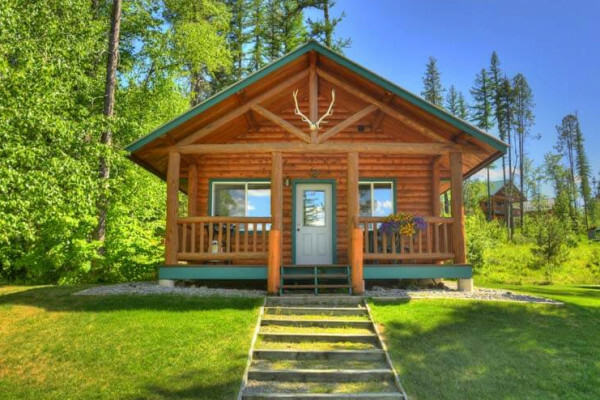 Nearby Whitefish Mountain Resort is a top winter destination and a great basecamp for visiting the park. 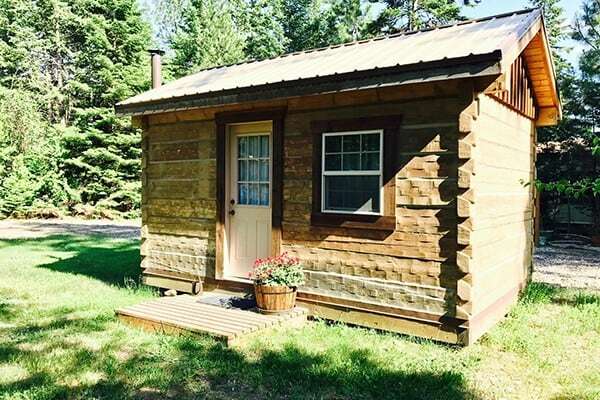 You can drive, fly, or take a train to get to Glacier National Park. 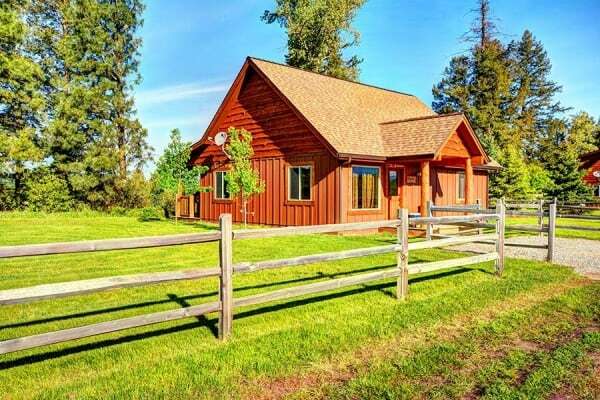 The closest airport is the Glacier/Kalispell Airport, served by Delta, Horizon, United, Skywest, and Allegiant. 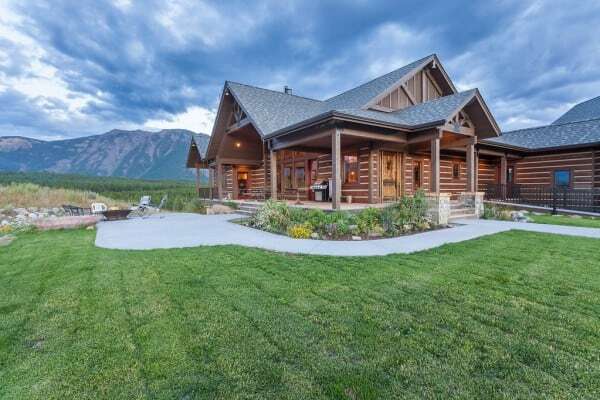 Not too much further you can find flights into Missoula International Airport to the south and Lethbridge, Alberta Airport to the north in Canada. 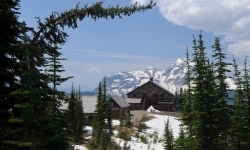 Alternatively, the Amtrak Empire Builder line runs from Seattle to Chicago, with stops at East Glacier Park, Essex, and West Glacier. Renting your own car is the easiest way to get around once you are here but make sure to take advantage of the free park shuttle or a guided tour on a Red Jammer Bus within the park. 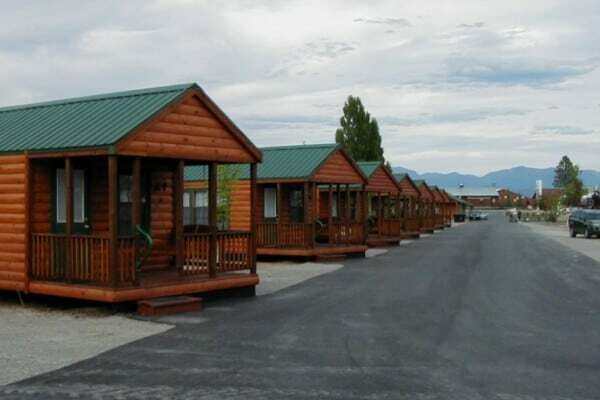 The three primary entrances to the park are located at St. Mary, East Glacier, and West Glacier and the nearby communities of Kalispell, Whitefish, Columbia Falls, West Glacier, and Polson offer a wide variety of accommodations. 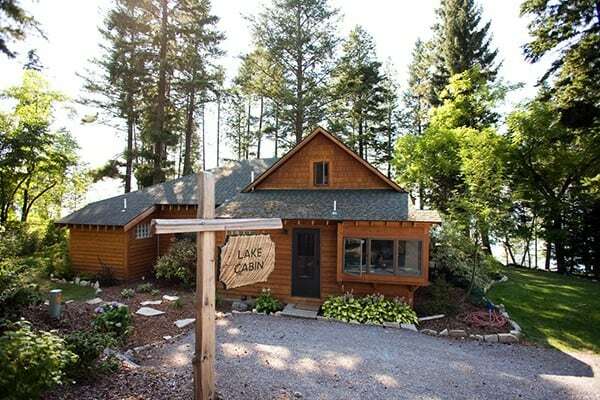 Lake McDonald: With a Swiss chalet style lodge at the water's edge, Lake McDonald is a hub of activity for park visitors. 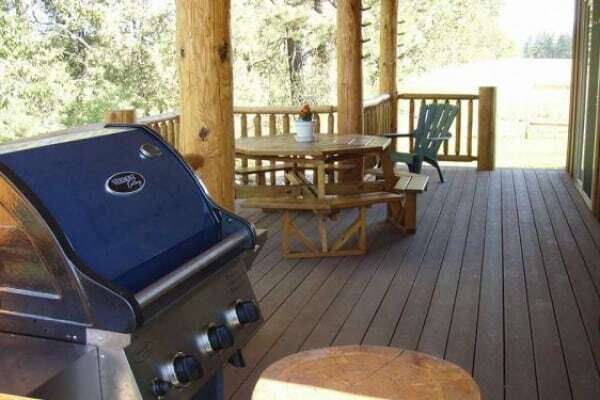 Find campgrounds, nearby trailheads, and boat rentals. 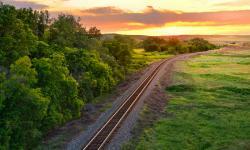 Amtrak Empire Builder: With service from Seattle to Chicago and back, this unique transportation option offers an incredibly scenic alternative to flying. The train stops at East Glacier, Essex, and West Glacier. 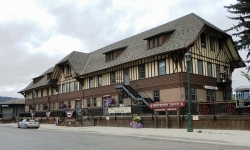 Whitefish Museum: The Stumptown Historical Society has transformed a historic train depot and locomotive into a must-see museum located in the heart of Whitefish. 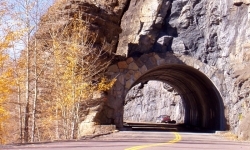 Going to the Sun Road: This 50-mile stretch of road cuts through the park, crossing the Continental Divide at Logan Pass. 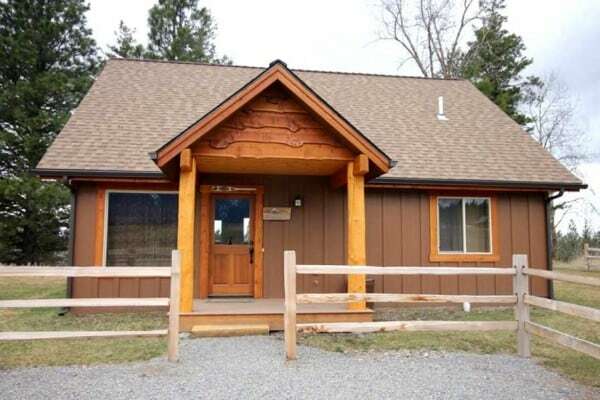 Open during the summer months only, it provides access to scenic viewpoints, hiking trails, and lodges. Two Medicine Lakes: On the eastern edge of the park, these lakes are considered a little more off the beaten path. 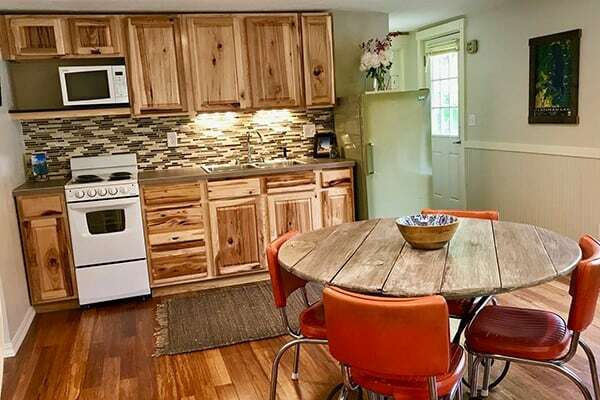 Visitors will enjoy nearby hiking trails as well as canoe rentals. 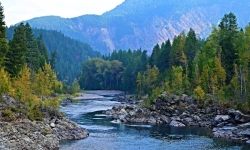 Flathead River: Creating the western boarder to Glacier National Park, the Flathead River is the region's hot spot for whitewater rafting and fishing. 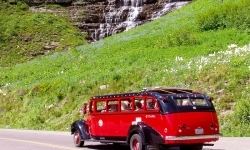 Red Jammer Bus Tour: These vintage buses feature roll tops to maximize the vertical scenic vistas. Tours are available throughout the park. 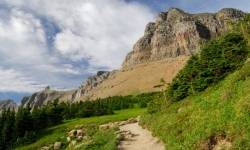 Highline Trail: This 19-mile backpacking trail starts at the top of Logan Pass offering access to high alpine terrain and vast expanses. 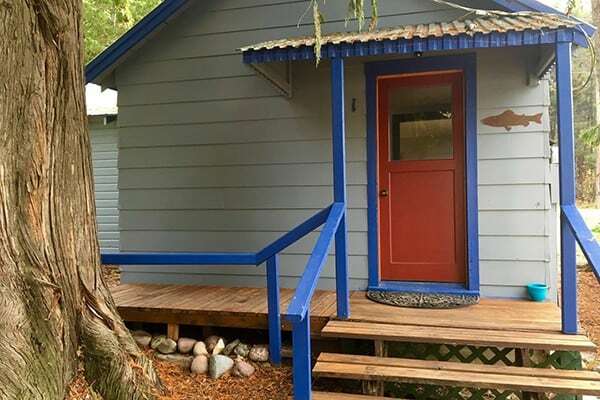 Backcountry Chalet: Accessed from the Highline Trail, spend the night at the Granite Park Backcountry Chalet for a one-of-a-kind lodging experience. 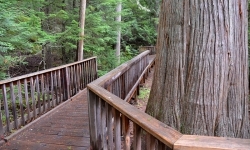 Trail of the Cedars: This easy boardwalk trail is a must-do and can be accessed from Lake McDonald Lodge.